Our goal in the classroom is to help students understand both the world in which they live and the responsibility they have as young Christian men and women of action in that world. Students learn through a variety of experiences, including group projects, community service, class lectures, student presentations, seminar discussions, advanced placement testing, and the use of cutting-edge technology. Character, Competence and Compassion– these serve as the foundation of our community’s interaction with one another and in the broader world community. Our hope is that students always feel stretched, always challenged, but also always cared for. Our ultimate goal is that students will live out the Profile of the Graduate at Graduation as women and men in service to others. 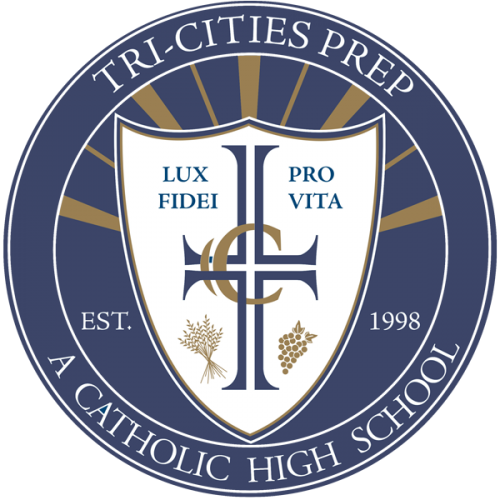 Over 93% of all Tri-Cities Prep graduates go on to further their education at colleges and universities throughout the country. During their years at Prep, students are guided by a highly experienced faculty and staff who assist them in their educational journey that continues beyond high school.